Arkansas-based Country Outfitter is ideal for the new generation of fashionistas. The company offers comfortable, simple and durable Western-style apparel and footwear for men, women, and children. Western fashion doesn't have to be rugged. Select from cute dresses, hot denim shirts, home decor and more. Find industry-leading brands such as Dickies, Wrangler, Carhartt, Uggs and Ariat Boots. If you like Western-inspired clothing, use one of the Country Outfitter coupons on this page for some incredible discounts. 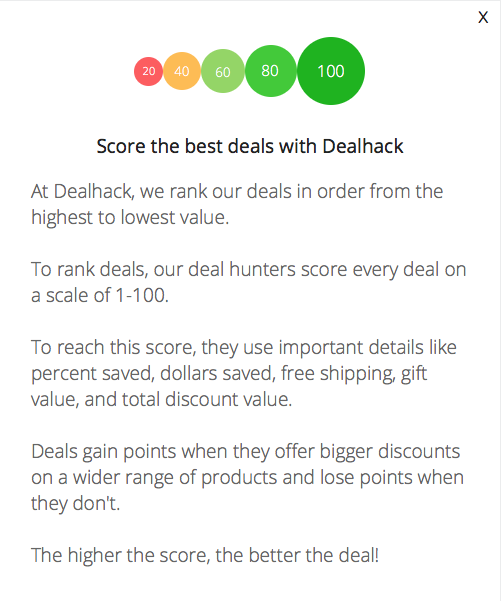 Dealhack wants you to save so we work closely with your favorite retailers to bring you the best coupons and promo codes to help you save when you shop online. Embrace your inner cowboy, or cowgirl, at Country Outfitter. Do you want to know another like hack we discovered to help you save? Sign up to become a member of the Country Outfitter community for exclusive offers. You will also receive company updates and special offers sent directly to your inbox. Aside from stylish clothing, you'll also find fashion boots and boots for everyday living. Select from quality leathers that include cowhide, alligator, elephant, ostrich and more. Or, you can find a pair of western-style faux leather boots. Country Outfitters is also home to the classic cowboy hat. You'll find the best hats in a variety of materials, sold on the company's site. Are you ready to shop the hottest in western styles? Before you go, make sure you select one of these Country Outfitter coupon codes from Dealhack's collection of coupons and take it shopping with you. Do you have any questions for the Country Outfitter customer service team? You can follow Country Outfitter on social media or call them at 1-866-824-7970. Follow Country Outfitter on Facebook, Twitter, and Instagram. Find plus size and big & tall items so you can be sure to find something for every body size. If you register your email address, you’ll have access to flash sales with discounts up to 70% off. You will also receive notifications for seasonal offers and exclusive coupons. You can earn a $20 credit if you invite friends to the site. You receive the discount when the friend makes a purchase. Want to shop by brand? Popular brands are listed on the home page. You can quickly select the brand and view available products. For the country lover in your life, purchase a Country Outfitter gift card for the perfect last minute gift. What is Today's Best Country Outfitter Coupon? Currently, the best Country Outfitter coupon is 'Up to 63% off select Women's Skinny Jeans'. There is no code required to claim this offer. The company offers free shipping to all customers in the contiguous United States. You must select the free shipping option when you’re checking out or you’ll be charged $5.99. You can also upgrade to two-day or one-day shipping for a flat rate. Country Outfitter items that you are not 100% satisfied with can be returned within 30 days of delivery. All items must be in original, unwashed condition with the tags on. A $5 flat fee will be deducted from your refund.